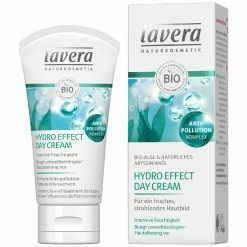 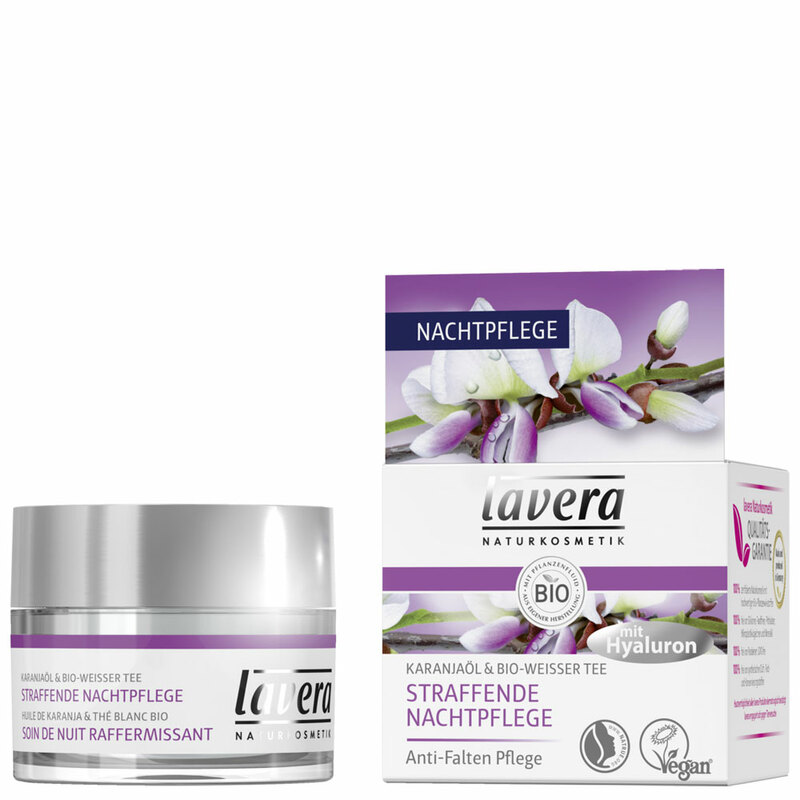 For a smooth skin feeling: Lavera Firming Night Cream with high-quality Karanja oil and organic white tea (from fair trade) intensively nourishes the skin and supports the skin’s own regeneration at night. 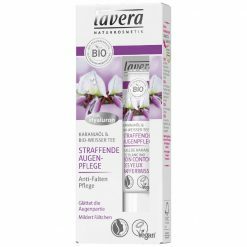 The formula with natural hyaluronic acid reduces wrinkles during sleep, relaxes the facial features and tightens the skin. 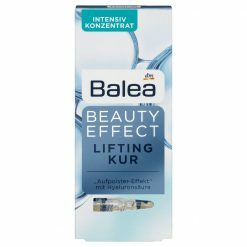 Apply in the evening to cleansed skin of face, neck and décolleté and massage in gently with circular movements. 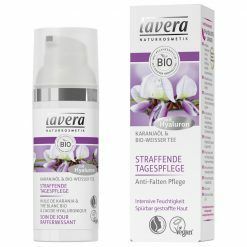 For optimal results, use Lavera Firming Serum and Firming Day Care in the morning.